Using inferior photos? No wonder the property isn’t selling. Why do some estate agents still use indistinct low-quality images to market their properties? Making a positive first impression has never been as important as it is in today’s fast-moving, disposable culture. However, the calibre of modern property photography often falls short of what’s required – a cardinal sin when house hunting increasingly involves scrolling rapidly through dozens of listings on a smartphone or tablet. While kerb appeal is the responsibility of the vendor, effective photography is the responsibility of the marketing agent. It’s also the method most people use to determine whether they’re interested in arranging a viewing or reading the schedule text. A leading property portal has demonstrated that high-quality images of a house attracted four times as many enquiries as low-quality shots of the same property, when each set of images was displayed for 28 days. Research by Old Dominion University in America has also proved that the first thing a typical buyer does when looking at an online listing is study the photographs. Other than price and location, images have become the most important aspect of property marketing. Badly-framed low-resolution photos will actively deter house hunters, particularly when rival properties have been presented more effectively. An iPhone might deliver a decent external on a bright day, but its narrow field of aperture will make internal images look small and its limited single-direction flash won’t illuminate dark corners effectively. 1. A digital single-lens reflex (SLR) camera, with a double-digit megapixel resolution. Photographs will be large enough to use anywhere without pixelating or degrading. 2. A wide-angle lens, ideally a 10-20mm unit that provides a field of vision of over 100 degrees without the curved distortions historically associated with fish-eye lenses. 3. A flash gun, which can be rotated for optimal light dispersal while generating enough illumination to pick out decorative features and brighten every corner of a large room. 4. A diffuser, to disperse the light from the flash gun across a wider area and soften its natural harshness. These can be bought for as little as £5. The best estate agencies employ freelance photographers, who use the above equipment and have real expertise in framing shots and ensuring vertical alignment. They will instinctively identify problems like clutter or shadows, and adopt the shooting angles that represent each room to its best. Do consider the thorny issue of image rights, however. Reputable photographers will be happy to assign copyright to the estate agency that employs them on a freelance or contract basis, but some may impose a single-usage clause – preventing images from being republished if the sale falls through or a rental property is re-advertised a year later. 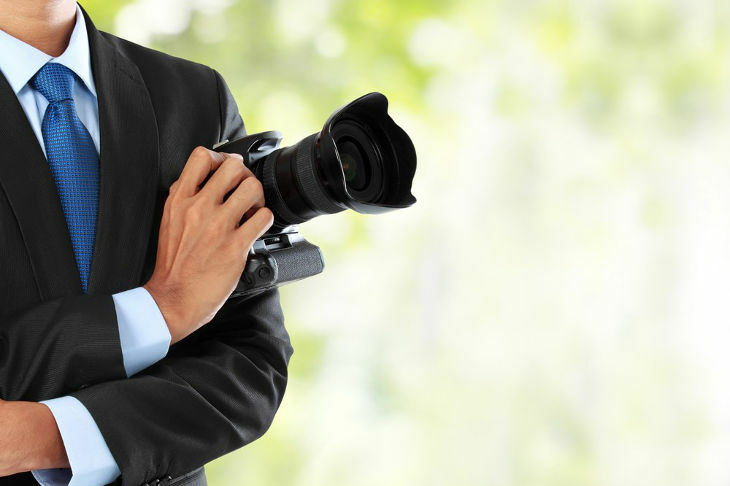 Vendors may also try to obtain copies of professional images (sometimes as a precursor to taking their business elsewhere), so ensure that any photography contract is unambiguous about whether commissioned images can be re-used or supplied to third parties. The importance of high-quality residential photography is increasingly being acknowledged by those at the sharp end of property marketing. As the director of Renfrewshire-based estate agency Cochran Dickie, Curtis Chisholm places photography at the top of his priorities list: “You cannot overestimate the importance of good, high-quality still photographs when you are bringing a property to the market. You only get one chance to showcase the property, as the exposure all properties receive now is such that it’s immediately viewed by many people once it goes live”. His comments have been echoed by everyone from Forbes magazine to national letting agents, reflecting the fact that effective photography is invaluable for capturing the attention of house hunters – as well as elevating your brand above its competitors. LocalAgentFinder allows homeowners to request and compare agency pitches before instructing. On LocalAgentFinder.co.uk agents can view live properties and pitch for listings in their local area. A pitch will include details of an agency’s selling/letting strategy, fees and history. LocalAgentFinder was founded in Melbourne, Australia in 2007 and has over 9000 agents pitching for 32,000 listings annually. Tell us about you and your property, then start reviewing online proposals from real estate agents - most customers receive proposals within a few hours. Righting the wrongs of bad estate agents. 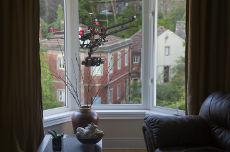 Attack of the Drones: The future of commercial drones clouded by fears of personal privacy. Online dating: The new relationship between estate agents and consumers.